This is Chet Zar. He is an artist that has worked in the film industry as a sculptor, make up artist, and designer. 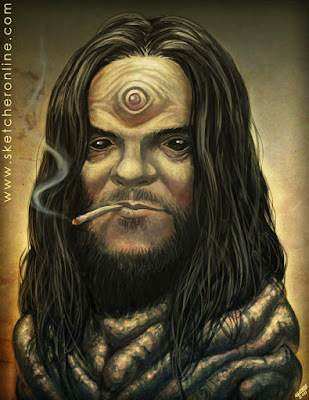 You have seen his work in movies like Hellboy I and II as well as music videos for TOOL. He now works as a fine artists painting scary and twisted pieces in oil. You can see samples of his work at chetzar.com. Hope you like it.